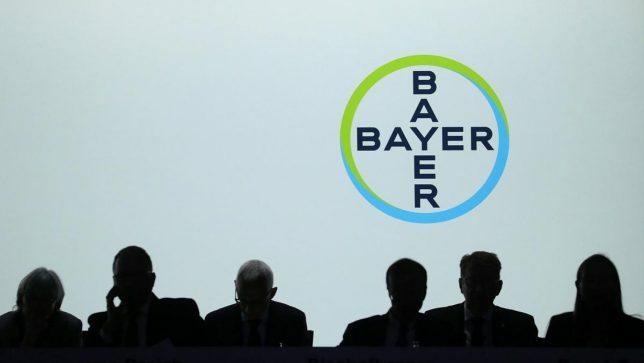 Bayer AG, the German multinational pharmaceutical and life sciences company, is in panic after a huge share sell off on Monday morning, following the decision from a landmark legal case in San Francisco, which judged that the glyphosate-based weedkiller Roundup causes cancer. $ 12.5 Billion (12%) was wiped off Bayer’s share price in Monday trading and the slide looks set to continue. The German company’s newly acquired Monsanto subsidiary was left in shock Friday after they lost a landmark cancer trial in San Francisco and was ordered by the Judge to pay over USD 289 Million in total damages to the former school groundskeeper Dewayne Johnson, a California father who has non-Hodgkin’s lymphoma, which was caused by Monsanto’s glyphosate-based weedkiller Roundup.